Professor Romano Orru of the Synthetic & Bio-Organic Chemistry research group (CPS, AIMMS, Faculty of Sciences) has been awarded a ECHO grant of €260.000 by the Netherlands Organization for Scientific Research (NWO). The funding enables Orru to strengthen the research line on the production of drug-like molecules with novel and ultra-short one-pot synthetic routes using isocyanides as alternative C1-building blocks. Professor Orru: “We believe that using simple C1 building blocks and develop them into common reagents and catalysts for one-pot synthesis procedures improves the overall eco-balance in pharmaceutical manufacturing.” The development and production of pharmaceuticals consumes large quantities of natural resources and is often far from sustainable. Especially the production of complex biologically active molecules and active pharmaceutical ingredients (APIs) are energy consuming and generates many waste like solvents and separation agents. It is therefore crucial to design and develop sustainable synthetic manufacturing processes. The awarded ECHO grant enables funding for a PhD in this area. Professor Orru: “This is exciting research. The PhD student in this project will work in a stimulating and challenging environment and will receive top training in synthetic chemistry of the 21st century.” Orru has a longstanding reputation on multicomponent and one-pot syntheses. His group applies these methods to the diversity-oriented synthesis of fine chemicals with a high added value, like building blocks for medicines or ligands for catalysis. 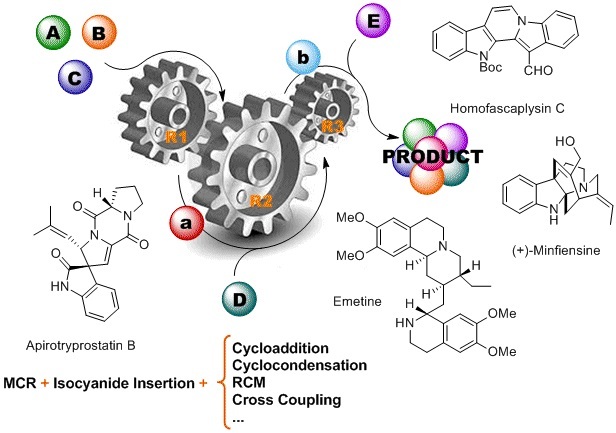 The Synthetic & Bio-Organic Chemistry research group, embedded in the Department of Chemistry & Pharmaceutical Sciences and the Amsterdam Institute for Molecules, Medicines and Systems (AIMMS) combines sustainable synthetic methodologies with so-called one-pot processes: successive chemical reactions in one reactor. This strategy reduces the formation of side-products and enhances the chemical yield.